We are here on earth to do good to others. What the others are here for, I do not know. He was the son of Thomas Arnold the famed headmaster of Rugby School and brother to both Tom Arnold literary professor and William Delafield Arnold novelist and colonial administrator. 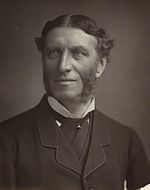 Matthew Arnold (24 December 1822 – 15 April 1888) was a British poet and cultural critic who worked as an inspector of schools.